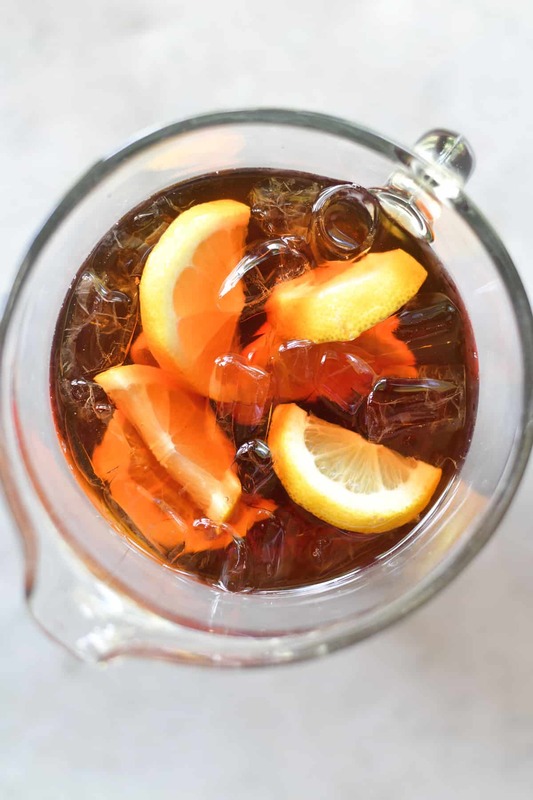 This easy sweet tea recipe is super smooth and refreshing! 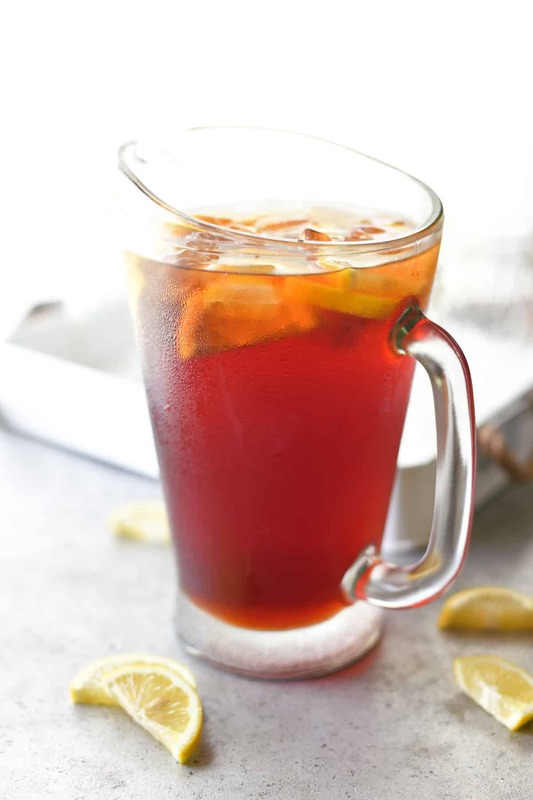 You’ll want to keep a pitcher of this southern sweet tea in the fridge all summer long. 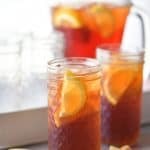 Since I am on vacation this week at a beach house in North Carolina, I thought it would be fitting to share a sweet tea recipe. Wilmington has become our home-away-from-home and our favorite place to travel. Every time we go we drink gallons of sweet tea! But back here in Minnesota, none of the restaurants serve sweet tea. I’m not even sure if you can buy it at the grocery store. When the weather got hot this summer, I started craving tea and started making it for my family. Here is the recipe I use. I hope you can feel the sunshine and hear the ocean waves in your mind while you drink it. 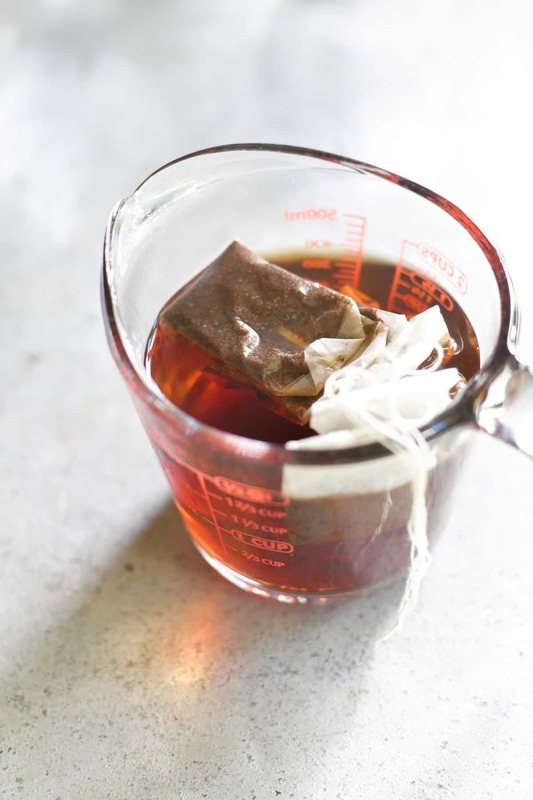 Put six tea bags in a small glass pitcher and pour two cups of hot water over the top of them. Remove the tea bag (without squeezing them) and discard. Stir baking soda into the tea to make is super SMOOTH. Stir in the sugar of your choice. I used 1/2 cup of stevia for a diet sweet tea. 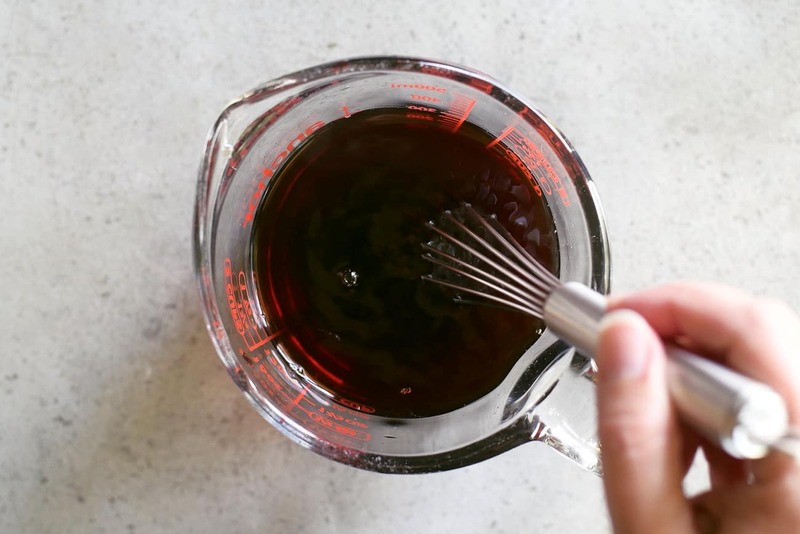 You can substitute your favorite sugar alternative. Or use granulated sugar. 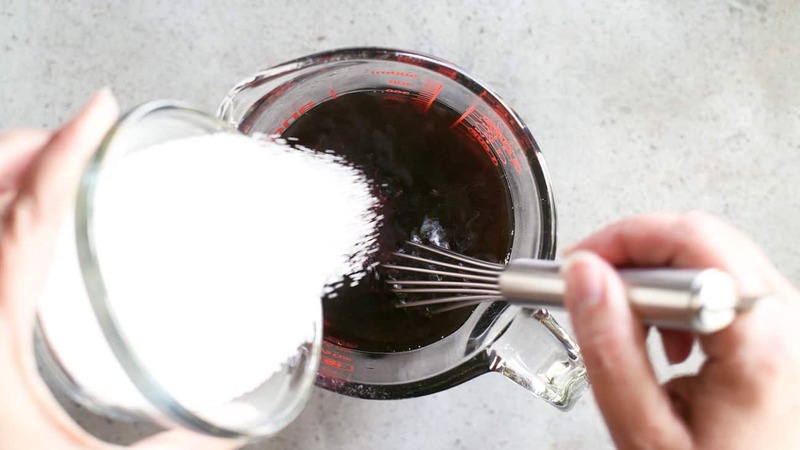 Depending on how sweet you like it you can add 3/4 to 1 1/2 cups of granulated sugar. If you want to use lemon in your tea, put the lemon wedges in the bottom of a 2-quart pitcher. If you are in a hurry and want to cool off the tea quickly, put two cups of ice on top of the lemons. Pour the sweet tea concentrate from the small pitcher into the large one. Next, pour cold water into the pitcher and stir. If you added ice (see above), only add 4 cups of cold water. If you did not add ice, add 6 cups of cold water. Serve chilled with ice and lemon wedges. 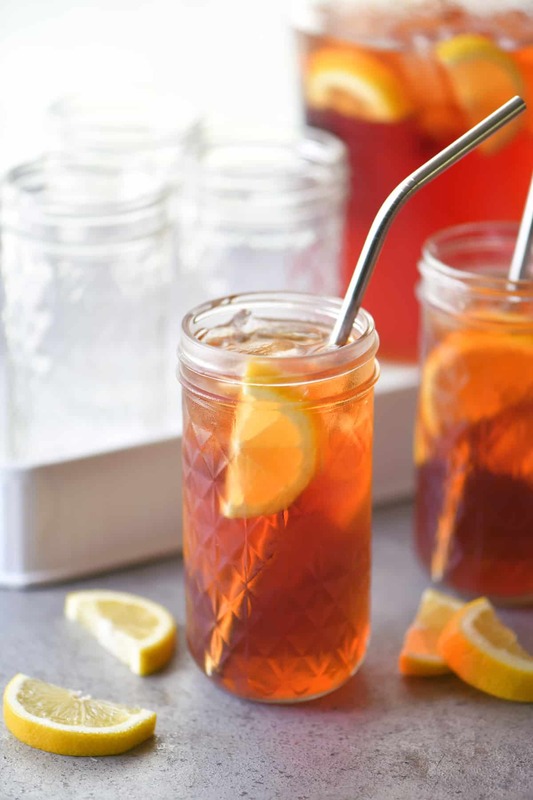 This easy sweet tea recipe is super smooth and refreshing! 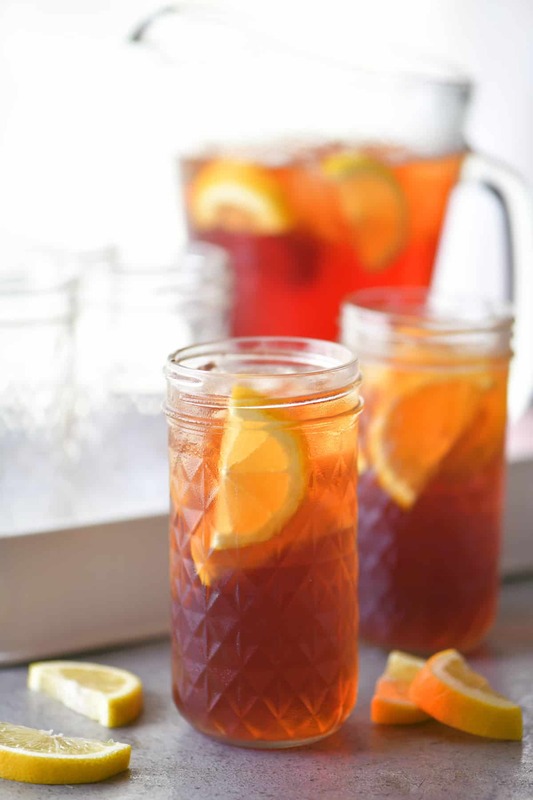 You'll want to keep a pitcher of this southern sweet tea in the fridge all summer long. Put six tea bags in a small glass pitcher and pour two cups of hot water over the top of them. Cover and steep for 15 minutes. Remove the tea bag (without squeezing them) and discard. 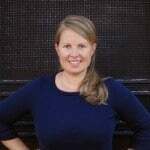 Is it safe to drink baking soda?